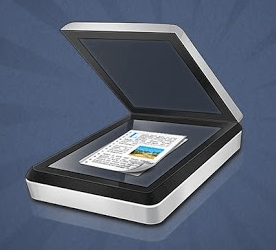 CamScanner is a free Android app that turns your smartphone into a portable document scanner that can convert the documents as well. No matter how we try to digitize our tasks, there are some things that still require the good old pen and paper. Documents, receipts, bills – they all need to be physically present to be of any use at all. 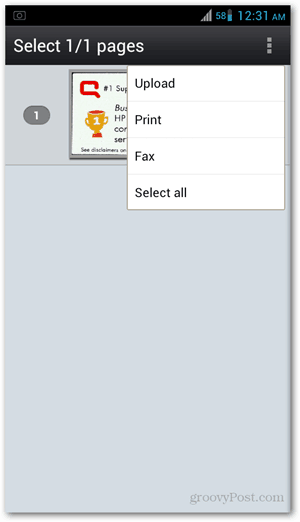 If you’ve ever found yourself with a need to print, send or sign an actual paper document but there’s no printer in sight, then you should try CamScanner for Android. 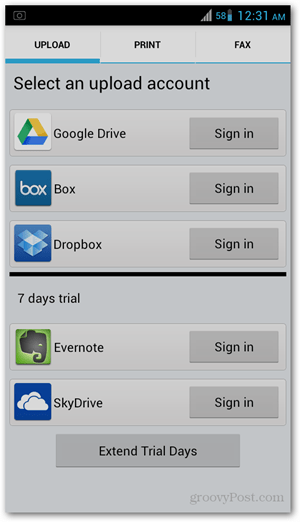 This app is a simple yet powerful way to scan, convert and save any kind of document – all from your Android device. 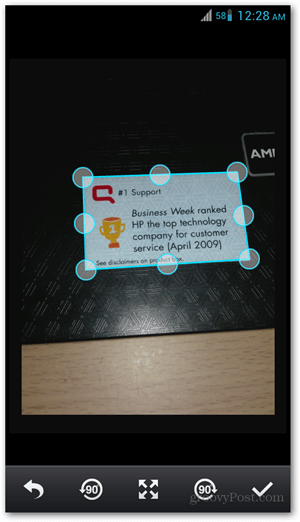 To use CamScanner, lay the paper/document on a flat surface and take a photo. The app automatically detects how to crop edges, but this can be adjusted using the dots connecting the crop lines. Once cropped, the image is then scanned and converted into a standard PDF file. There are different modes with which you can change how the document looks. The default is set to High enhance mode, but there are other options when you tap on the drop down. This includes gray scale, black and white or no enhancement. From this step you can then go ahead and share the file by email, or upload to cloud services like Dropbox and Google Drive. Other than sending the file electronically, you can also print and fax it. Note that the fax function may not apply to your country. Another extra feature is setting a password for the file – something that applies to confidential documents. 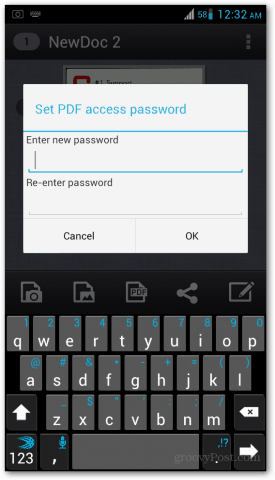 Tap on the 3-dot button on the top right corner and select Set PDF password. This app has saved me time and effort in several occasions, and even helped me keep my job. So next time you’re caught in the same dilemma, you know what app to download.